As we get older, our legs become more and more of a concern. How your legs look and feel is often a direct result of the condition of the veins inside of them. 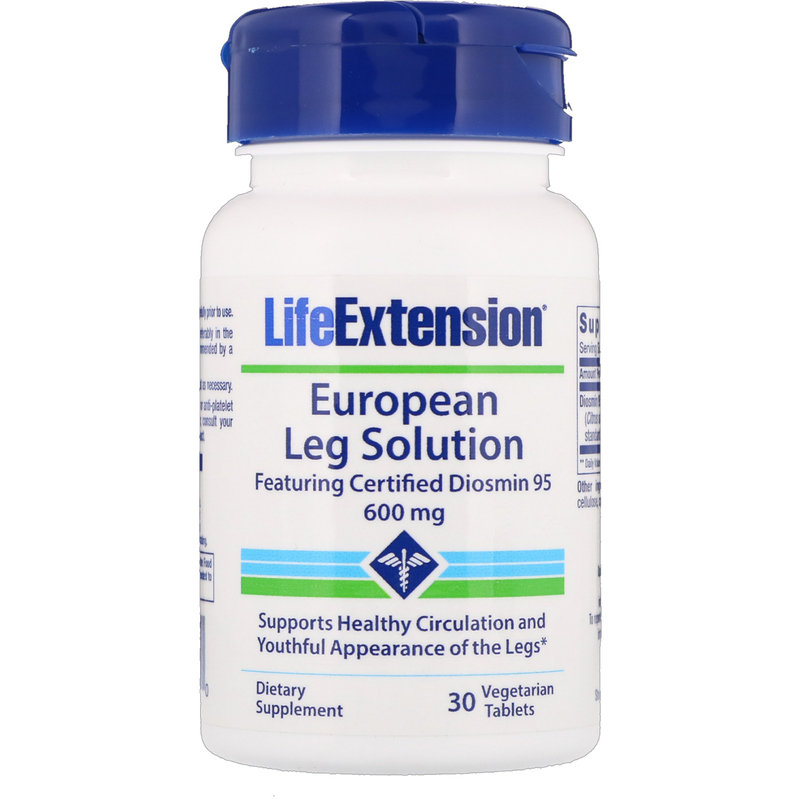 European Leg Solution Featuring Certified Diosmin 95 is a unique formula that helps you maintain proper circulation in these leg veins — which in turn promotes healthy, comfortable legs. Take one (1) tablet daily, preferably in the morning with or without food, or as recommended by a healthcare practitioner. Suggested duration of use: 3 months. Repeat as necessary. Povidone, microcrystalline cellulose, corn starch, vegetable stearate. 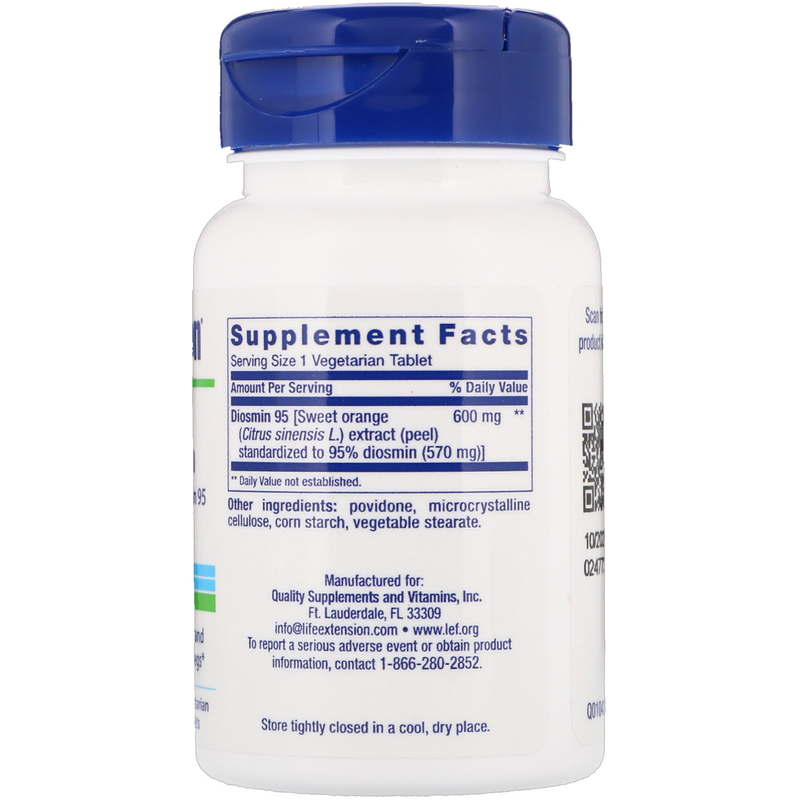 This product contains NO milk, egg, fish, peanuts, crustacean shellfish (lobster, crab, shrimp), soybeans, tree nuts, wheat, yeast, gluten, or rice. Contains NO sugar, and no artificial sweeteners, flavors, or colors.